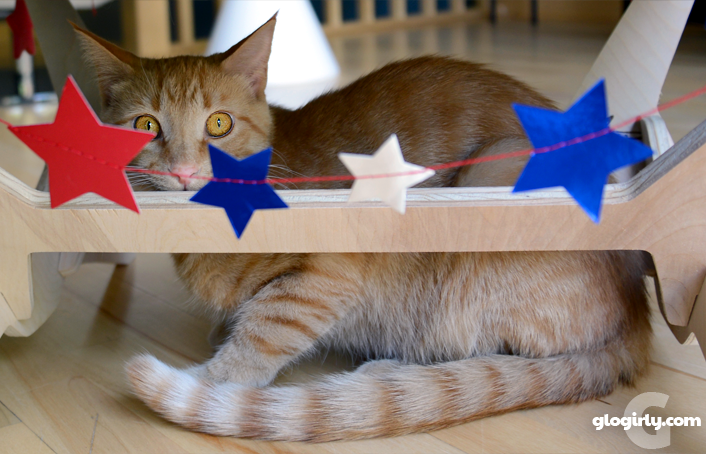 WAFFLES: Uh... the 4th of July??? KATIE: Today's the day we celebrate our country's birthday. WAFFLES: Cool! I'm going to decorate for the party. There's cake, right? KATIE: No cake, Waffles. It's not that kind of birthday. WAFFLES: No CAKE??? What a rip-off. I bet the country's going to be pretty mad there's no cake. KATIE: Waffles, not EVERYTHING is about food you know. KATIE: On July 4, 1776, our country's founders signed the Declaration of Independence and the United States of America became, well... the United States of America. Each year we celebrate our nation's birthday with family reunions, potato salad and fireworks. 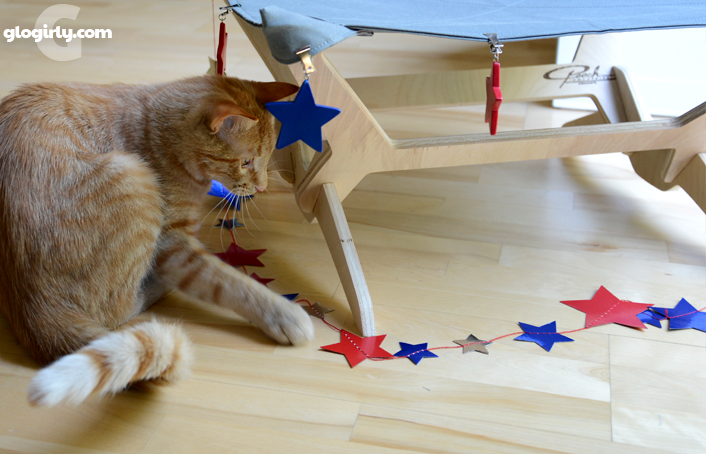 Happy 4th of July to all our US friends! Please keep your pets safe too. Provide a safe and quiet room for them to comfortably hide during loud fireworks. Turn on some soft music. 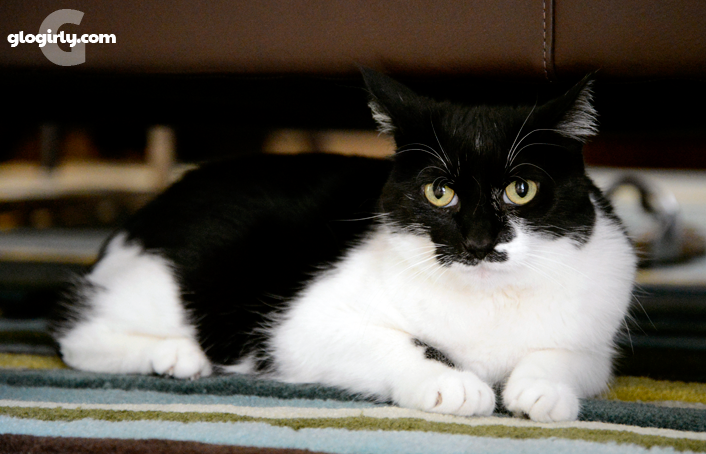 Use calming aids like Feliway sprays or diffusers. Just act normal. 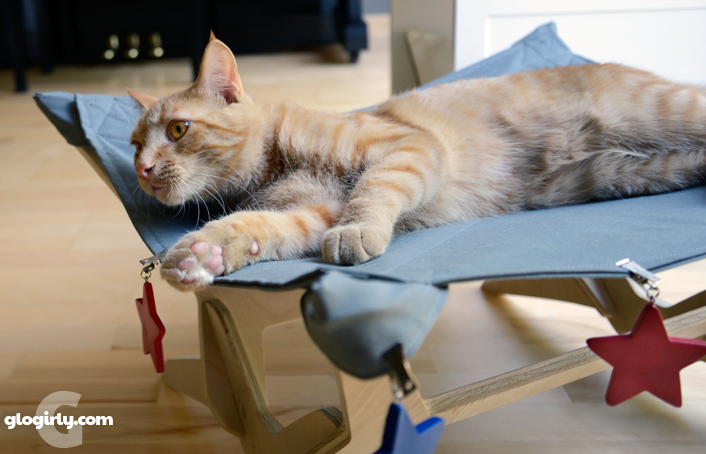 If you're stressed or show concern for your cat, they'll sense something is wrong. Waff, this time we have to agree with you - CAKE FOR EVERYONE! Happy 4th of July!!! Waffles, you can crank up the grill! That's good eatin'!!!! Waffles, I hate to tell you, but my human agrees with Katie about the cake. She thinks there should be... PIE! Happy Fourth! We're with you, Waffles. If there isn't cake, can there at least be icing? Wait?? No cake?? What kind of birthday party is that?? Happy 4th of July to all of you! "Wow, Waffles. Nothing gets past you." FELL OUT OF THE CHAIR LAUGHING. Waffles should always have cake. Clearly it helps to destress him... ;). I agree with you Waffles - if it's a birthday, there should be cake. I'll tell M to make one and invite you over. Happy 4th of July!!!! All of us here agree about the cake thing...let there be cake, too! Cake? You mean like cheese cake or carrot cake??? Waffles, you have the right idea!! Yes, we need cake. Lots of other good foods. Chick-hen, roast beast, ribs, hot dogs, cake, tater salad, other salads. Eat, eat, eat. Be safe and be UTB if you must. But there might be chicken on the grill Waffles! Meow Glogirly, Katie, & Waffles! We are indoor only kitties, so we are furry safe from fireworks. If we get scared, we have lots of hidey places to go. Then we get nip afterward. We also watch a lot of Duck TV, so we will be looking out for our Muscovy Feathered Friends tonight. We hope you all have a safe and colorful 4th Of July! Ya'll look adorable. Have a happy and safe 4th. WE had cake, Waffles. I think Katie's lying to you to keep all the cake to herself. No cake??? America sure has been jipped. I agree with Waffles there should always be cake. super cute! Hoping you are having a happy and safe 4th! Happy 4th of July! We agree Waffles, it seems like cake would be a great idea. I am with you Waffles, there should always be cake. Happy 4th! Happy Independence Day, friends! For what it's worth, we're with ya on the cake thing, Waffles! There can be cake if you want it, Waffles. July 4th is about celebrating people doing what they want to do, the way they want to do it, and no one else telling them what to do or how to do it. It's a celebration of the signing of the Declaration of Independence, a major event in the timeline of events leading up to the founding of the USA, which actually happened in March. 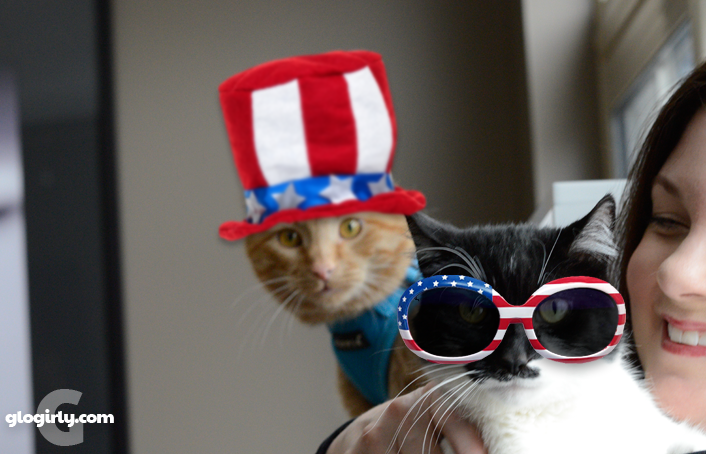 Waffles and Katie, we hope you had a nice 4th of July! Z-girl had some apple pie on Sunday and we got some cat nip. Does that count? Katie, please don't tell Waffles, but I had cake yesterday. I hope you had a wonderful 4th of July! Hi Katie and Waffles...Mommy wants to know what "act normal" means. If she starts acting normal, I might get stressed out, haha!!! Seriously though, we hope you had a great holiday. Our neighbors have been celebrating for two nights now with horrible mortar shell sounding rockets, fireworks and what sounds like automatic rifles, setting them off in between bad thunder storms until 11pm. They are going strong right at this moment, setting them off now on the day after July 4th, so Mommy has been pretty busy keeping me not stressed out. They are some kind of crazy! Wish us luck for the rest of the week. Hugs to Glogirly from Mommy Jenny and paw fist bumps to you both Waffles and Katie. there really should be cake. HAH! There IS food. Katie said so. Ice cream is better than cake.